After turning heads at MSI, the team is splitting apart already. 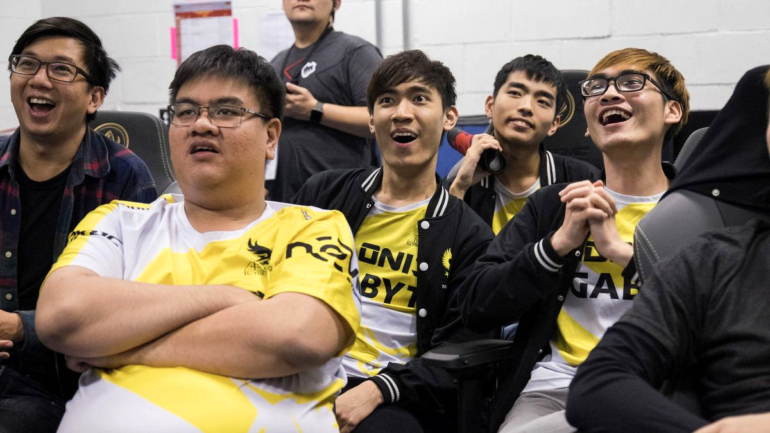 Nguyễn “Slay” Ngọc Hùng, Gigabyte Marines’ ADC, is leaving the team just days after their stint at MSI, he announced in a Facebook post. Phan “Stark” Công Minh, the team’s top laner, supposedly stepped down from his position as well, according to Gamek, a Vietnamese esports news outlet. Slay noted personal reasons as the cause for his departure, and hinted at playing for another team this summer by mentioning that he hopes his fans stick with him through the coming split. He has been with GAM since December. Stark, on the other hand, may have had the shortest career of any pro League of Legends player, as he only played professionally for about three months before taking the international stage at MSI. GAM captured the hearts of League fans with their reckless and borderline insane gameplay. Despite their non-traditional style of play, they ended up being a real contender during the group stage of the tourney, giving each of the top teams a run for their money. If you’re one of the many GAM fans that were won over while watching their MSI antics, don’t worry, all hope isn’t lost. The team hasn’t officially confirmed that Stark is leaving, although Slay’s departure was confirmed directly from his own Facebook. The team declared on their official Facebook page last week that they are looking for a new top laner. There’s a possibility that they’re only looking for a substitute for Stark, but Gamek claims that he has left the team completely to pursue a higher education. Related: The Gigabyte Marines captured our hearts at MSI. Pursuing further education is certainly a more stable option for the future than professional League, but it does come as a bit of a shock. After only a brief stint on the pro scene, Stark was able to throw down with the world’s best top lane talent—and he often won. His clean Gragas plays at MSI were a key factor in GAM’s victories. After a few more months of playing with GAM, or perhaps even being picked up by another team, Stark could have made a fantastic top tier top laner on the world stage. By hinting that he may play during the Summer Split, it seems that Slay’s career, at least, isn’t over yet.